Canada's chief public health officer says the need to increase access to a "safer supply" of opioids is being reviewed with provinces and territories — a move encouraged by a number of public health experts. The need to increase access to a safer supply of opioids is being actively reviewed with provinces and territories, Canada's chief public health officer Dr. Theresa Tam said Wednesday as the Public Health Agency released data showing opioid drugs were factors in more than 2,000 deaths in the first half of the year. A toxic drug supply is a key part of Canada's opioid epidemic, Tam said Wednesday, adding she hopes Canadians come to understand the seriousness of the problem. "Across Canada, not everybody is on the same page," Tam said. "I think my plea is an escalated, compassionate response. To implement a lot of these measures, you need society to be on side." Canada needs an approach that accounts for factors including the stigma, trauma and discrimination associated with drug use, she said. 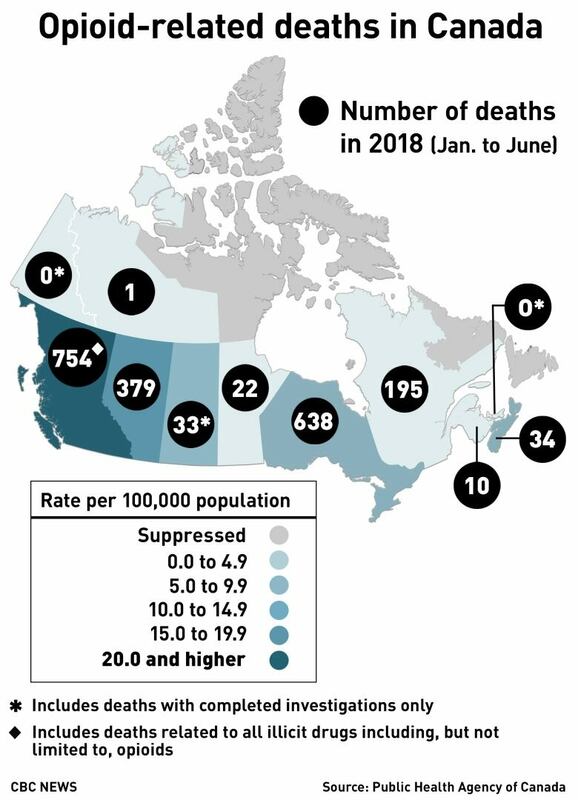 Figures released Wednesday show that 94 per cent of the 2018 deaths were classified as "accidental poisonings" and nearly 72 per cent were unintentional deaths involving highly toxic fentanyl and fentanyl-related substances. Fentanyl, a highly potent and addictive opioid, is estimated to be up to 100 times stronger than morphine and is commonly mixed into opioids sold on the street, meaning users don't know the potency of the drugs they take. Creating a safer opioid supply will require exploring what treatments people require, Tam said. "It is something that is being actively reviewed and discussed … with provinces and territories right now," she said. Clamping down on the supply of illicit drugs is very difficult, Tam added. "It is market driven," she said. Public health experts have long pushed for the federal government to consider providing a safer supply of opioids — pharmaceutical-grade drugs with known ingredients and potencies. 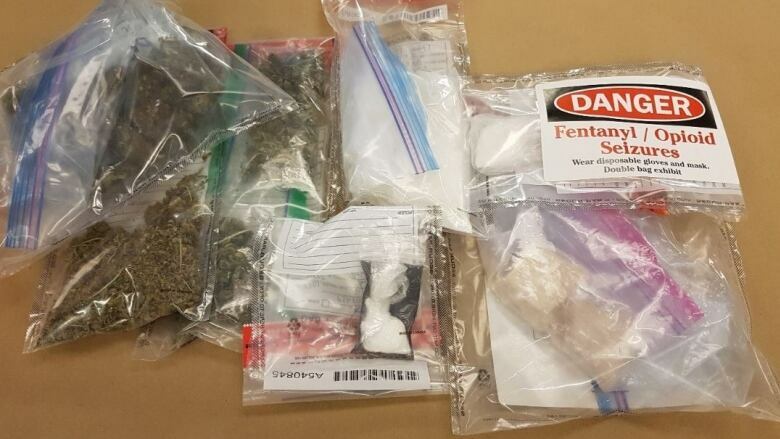 Donald MacPherson, executive director of the Canadian Drug Policy Coalition, has called the move a "no-brainer" to ensure people are not forced to turn to a "deadly, illegal market." Figures released by the Canadian Institute for Health Information on Wednesday also show a 27 per cent increase in hospitalizations due to "opioid-related poisonings" over the past five years. The institute said that 2017 hospitalization rates were 2.5 times higher in smaller communities, with populations between 50,000 and 100,000, compared to Canada's largest cities. The Canadian reports come as the U.S. government officials reported a bigger share of overdose deaths in that country are being caused by methamphetamine. The number of fatal overdoses involving meth more than tripled between 2011 and 2016, the U.S. Centers for Disease Control and Prevention reported Wednesday. The percentage of overdose deaths involving meth grew from less than 5 per cent to nearly 11 per cent. Meth is not the main killer among illicit drugs in the U.S. Fentanyl was involved in the highest percentage of fatal overdoses in 2016, followed by heroin and cocaine. Meth was fourth. But it was only eighth as recently as 2012. It's not clear why meth overdoses are growing, but some people who had been abusing opioid pain pills or shooting heroin have turned to meth, a stimulant, to offset the downer effects of those drugs, said Theodore Cicero, a Washington University researcher who has studied the rise of meth use among people who use opioid drugs. The CDC report looked at death certificates on 64,000 U.S. overdose deaths in 2016 and compared them with the five previous years. Many of the people who died had used multiple drugs —​ fentanyl was often in the mix.